Renoir’s landscapes invite you to enter settings drenched in light and vibrant with colour: a windswept field in Chatou, an old private garden in Paris, the streets of Algiers, a hillside in Guernsey. These are among the sites that Renoir captured and which will be presented in the first major exhibition of his landscape paintings. SPECIAL NOTE : The painter will make the reproduction as close to the original oil painting as possible. 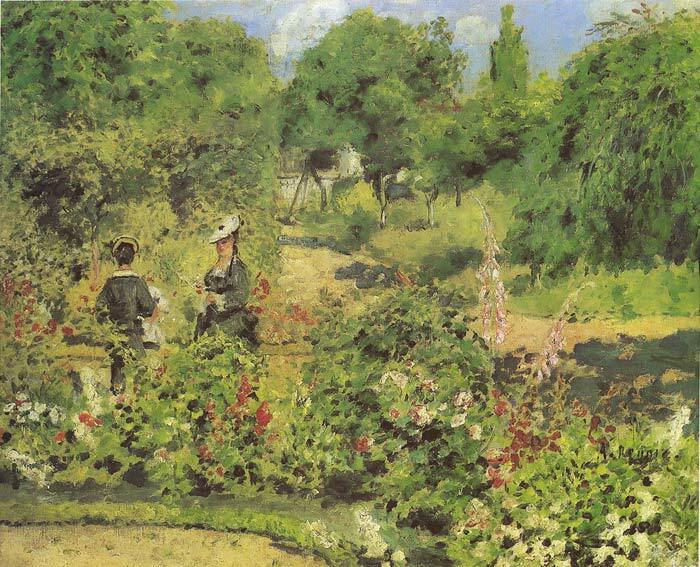 If you want your painting to alter from this likeness, please email us and " Garden at Fontenay, 1874 " will be reproduced according to your special requirements.